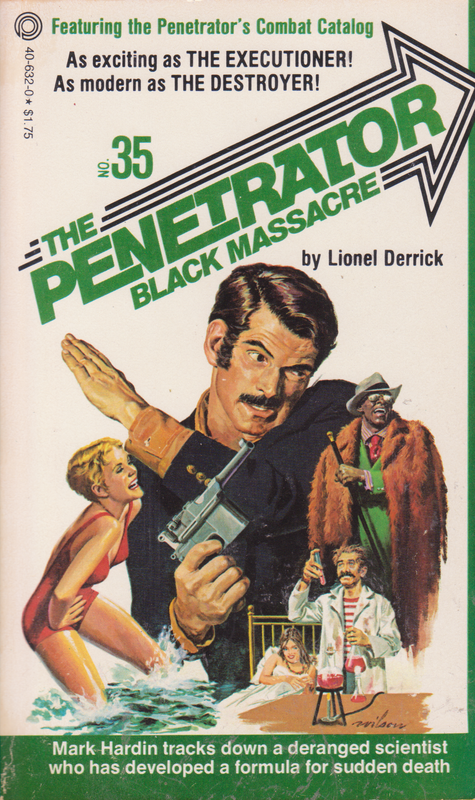 Alarmed over the increasing number of mysterious deaths among the black population, the Penetrator rushes to Indianapolis, where he learns that a strange epidemic of sickle cell anemia is sweeping the country. The message: “Liberty for Puerto Rico or death to all Gringos. Viva el F.A.L.N.” The terrorist tactics of the Fuezas Armadas de Liberacion Nacional Puerto Riquena were being stepped up. The bombings would increase each day, culminating in the big blast, Operation Luz. Racing against the clock, Mark Hardin stalks the streets of Spanish Harlem—his quarry, El Chico, ruthless leader of the fanatic F.A.L.N. Each step brings him closer to the creations of this time table of death and destruction. One by one, he manages to pick off the terrorist troops, slowly decimating their forces and equalizing the kill count of bombing victims. This is the eighteenth book in the Penetrator Series. The police blotters of cities across the nation and even as far away as Japan contain evidence of Mark Hardin’s handiwork—the deaths of corrupt hogs at the public table, deaths of men who kill, maim, or cause suffering among the innocent. 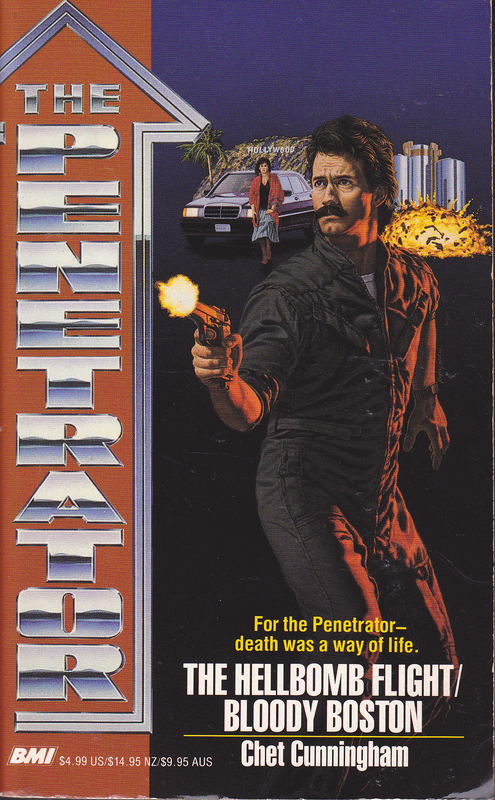 The Penetrator is a warrior without uniform or rank, pledged to fight anyone—on either side of the law—who seeks to weaken or destroy the American way of life. 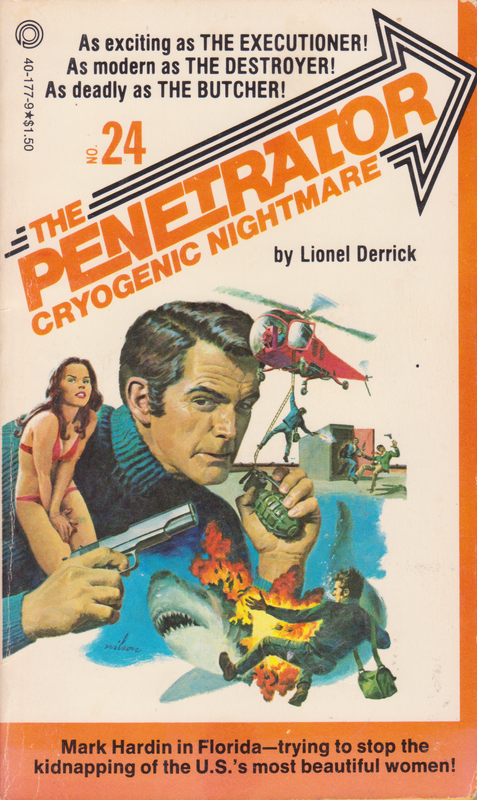 Follow the Penetrator as he travels from place to place, leaving his personal symbol of retribution, a chipped blue flint arrowhead, on the bodies of society’s deadliest enemies. 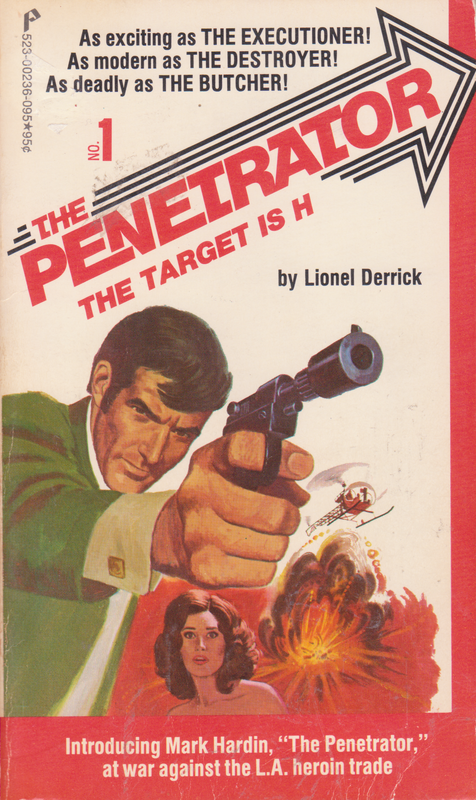 The Penetrator wanted nothing more than to destroy the Mafia. But when his college roommate Tony Rossi, the son of Boston’s most powerful Don, asked him for help, Hardin couldn’t refuse. Somebody was masquerading as Mark’s buddy, trying to take over the drug trade in Boston, and if the fake didn’t succeed, Rossi’s wife and son would lose their lives. 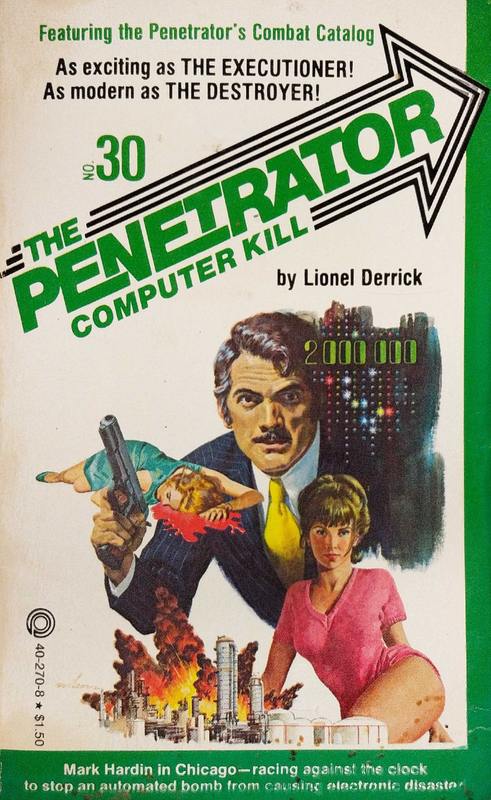 Whatever it took, the Penetrator swore he would save the innocent—and make sure the corrupt could never harm anyone again. Once second in command at NASA, Dr. Orlando Fitzmueller built a secret computer base in the Nevada desert. Through careful planning, diligent calculations, and sheer brilliance, he had developed a strategy that would help him realize his impossible dream of controlling world atomic power. 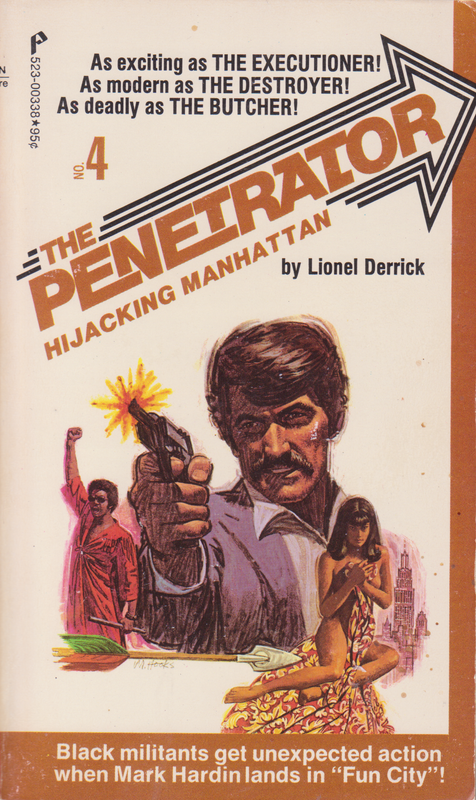 It was up to the Penetrator Mark Hardin to stop Fitzmueller—and time was running out. For if the scientist’s demands weren’t met, he would ignite a holocaust from space that would kill 150 million people in the first thirty seconds.